From Monday 15 October 2018 until Tuesday 31 December 2019: Enjoy 15 % off! From Monday 15 October 2018 until Tuesday 31 December 2019: Enjoy 20 % off! From Monday 15 October 2018 until Tuesday 31 December 2019: Enjoy 10 % off! 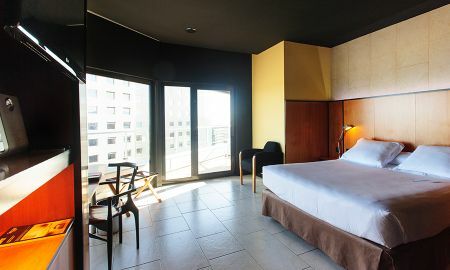 The Barcelona Princess stands out as one of the most representative buildings in Barcelona for its modern and vanguardist design. Thanks to a strategic location, it is the best hotel for the celebration of various events. Its 363 rooms are characterized by being very elegant, modern and sunny. In addition, there are 8 rooms perfectly adapted for disabled people, and all offer free Wi-Fi. The hotel has a Mediterranean restaurant that serves a varied breakfast buffet. It also has two elegant bars, one of them located by to the pool and with panoramic views. The Barcelona Princess offers a variety of services, including an outdoor pool, a fitness room, a relaxation area with sauna and six meeting rooms, all equipped with the last technology. 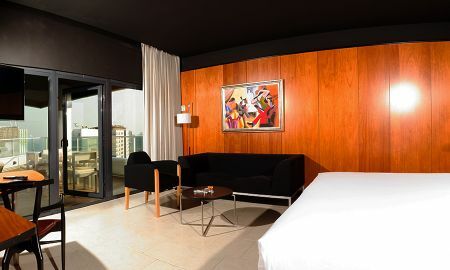 The Barcelona Princess is located on Avenida Diagonal, next to the Diagonal Mar shopping center. 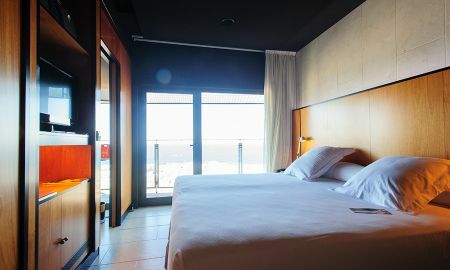 This accommodation is a 7-minute walk from the beach and 20 minutes from downtown Barcelona. 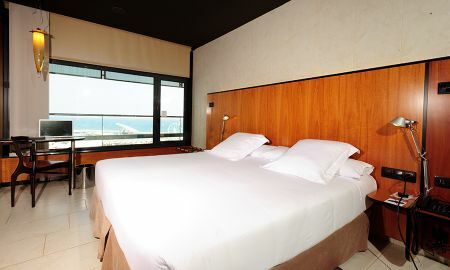 The tourist bus stops right in front of the hotel and the Maresme Forum metro station is 100 meters away. 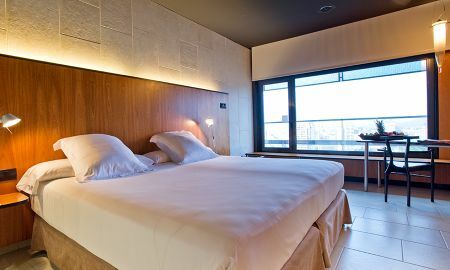 Plaza de Cataluña and Les Rambles are 15 minutes away by metro. Barcelona el Prat International Airport is only a 30-minute drive.